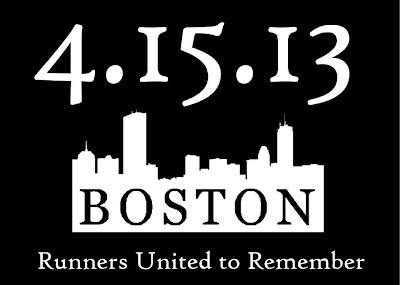 I am saddened by the tragedy that took place at the Boston Marathon on Monday. I would be shocked and saddened by anything like this happening. But to have it connected with the sport I love makes it sting a little more. I am so thankful that none of the friends I had running Boston were hurt. I just learned about an awesome tribute to remember and honor those who were injured or died at the Boston Marathon a few days ago. The idea sprouted out of conversations among runners and Matt Gunn, the race director of the Zion 100. Less than a day after this terrible tragedy, some blue and yellow batons were ordered. Enough batons for everyone who passed away or was critically injured at Boston. At the Zion 100 this coming Friday, these batons will be carried by runners over the course of all 100 miles of the race. Each baton will have a personalized name and will be sent to them or their family after the race. So cool. One of the things I love most about running is the camaraderie, the friendships that develop while working toward a common goal. Runners are family. We stick together. We are strong and won't back down. I'm glad we will have the opportunity to remember and honor those in our running family that were affected in Boston. That's a GREAT idea from the race director. I bet those families will appreciate it! awesome! rock it out man! What an awesome idea! We're wearing green this weekend in SLC! That is beautiful! What a fantastic idea! What a fantastic idea! I love it! You're going to do great, bud!